12:00 p.m. to 6:30 p.m. Note: A government-issued photo ID is required for all adults. Explore your world and learn more about how NOAA - the National Oceanic and Atmospheric Administration - works to understand and predict changes in Earth’s environment to help protect people and property and to conserve and manage coastal and marine resources. Join us at the Western Regional Center in Seattle, Washington for a series of free activities, including engaging science presentations and panels, interactive exhibits and tours. This event is perfect for the whole family. (Adults – please remember to bring our photo IDs to gain access to the campus). NOAA Open House is a FREE event, open to the public, with no reservations required. Attention K-12 Students - You are invited to submit an entry for NOAA’s Our Oceans, Our Future Art Contest! All entries must be received by June 1, 2017. Please see the attached entry form and slideshow for more details. Artwork will be on display and contest winners will be recognized during the Open House event. Please visit the Facebook event invitation for more information. For the latest information about the NOAA Open House check this website and follow the event on Facebook at for updates. 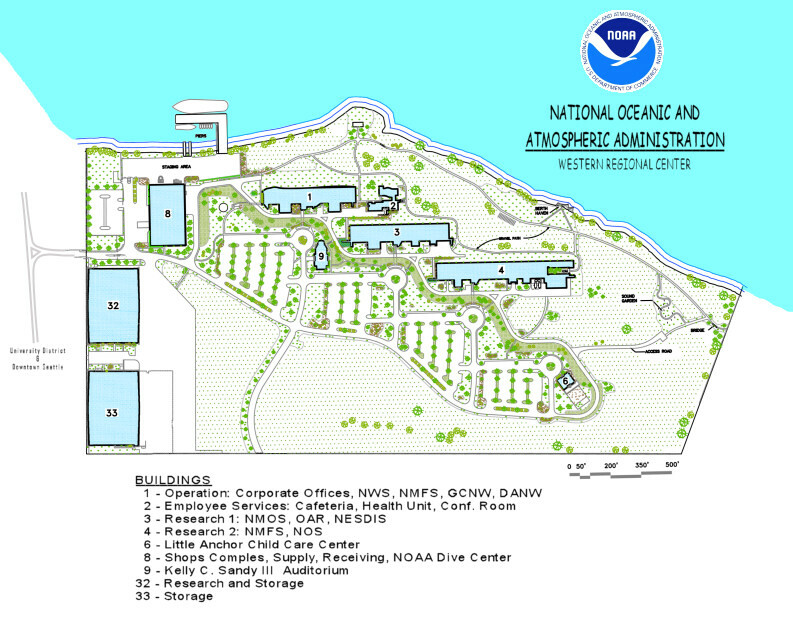 Questions about the NOAA Open House may be emailed to oar.pmel.openhouse@noaa.gov or call 206-526-6810. Participate in Steller Watch and help classify photos of Steller Sea Lions. Stroll through the NOAA Art Walk along the Lake Washington shoreline and see the famous Sound Garden. WEATHER - Take a tour of NOAA’s National Weather Service Seattle office forecast center and learn how meteorologists work 24/7 to forecast the Seattle area weather from the waters of Puget Sound to the Cascade Mountains and everything in between. Tour is 30 minutes in length. OCEAN ENGINEERING – Step into NOAA’s engineering workspace where engineers are hard at work building and testing new technology to collect data from our oceans. See the evolution of tsunami sensing moorings and new innovative technologies used to study the ocean. Tour is 30 minutes in length. DIVING - Take a tour of NOAA’s Diving Center and take a (simulated) dive into the 30 foot deep training tower and hyperbaric recompression chamber. Get hands out experience with SCUBA diving equipment and learn how NOAA divers conduct research underwater. Tour is 45 minutes in length. MARINE MAMMALS - This tour includes rare access to the NOAA marine mammal research bone collection that includes orca skulls and a narwhal tusk! Tour is 30 minutes in length. SUSTAINABLE FISHERIES - Take a tour of NOAA Fisheries Net Loft where you will see how NOAA manages fisheries that produce sustainable seafood. Tour is 30 minutes in length. Please join us in the NOAA Auditorium (Building 9) for a series of free videos, presentations, and talks. Come listen to scientists talk about PNW weather, learn about the weather impacts from the Blob and La Nina, and how you can help scientists recover Arctic weather observations! Watch the Celebrate Springer documentary about how one killer whale was successfully reintroduced to the wild 15 years ago. Have you ever wondered how scientists study fish? Come listen to our special presenters talk about using a Saildrone to locate Pollock in the Arctic, toxic algae impacts on shellfish and rockfish recovery on the west coast. ‡ The appearance of external links on this Web site does not constitute endorsement by the Department of Commerce/National Oceanic and Atmospheric Administration of external Web sites or the information, products, or services contained therein.